Apple TV is a shiny, black box that hooks up to your television and brings you all kinds of entertainment: music, movies, photos, games, and a huge collection of apps. Apple calls it “the future of television”. It gets online content over Ethernet or Wi-Fi, and streams this to your television using an HDMI cable. It's like a DVD player for the 21st century, except that you can control it using apps, other devices, and even your voice. It's also an intelligent solution because it supports Siri and can integrate with the voice assistant's rapidly developing online machine intelligence to help you do more from your television -- you can even remotely control smart home devices with an Apple TV. As well as stocks, weather and more. All of this is controlled by the sophisticated Apple TV remote control and your voice. Apple first introduced Apple TV in 2007 when then-CEO, Steve Jobs said it was “like a DVD player for the 21st century,” before later calling it a kind of “hobby”. 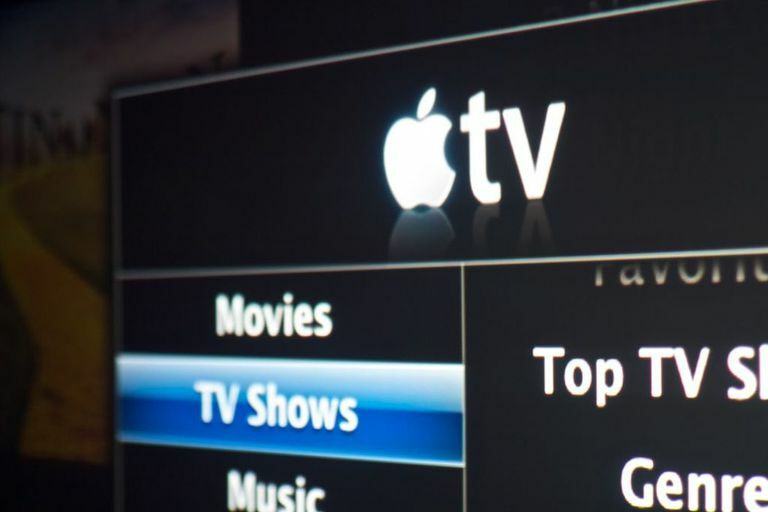 Originally announced as "iTV" before later dubbed Apple TV due to copyright problems with a UK TV channel called ITV, the original solution was limited to providing access to iTunes and a limited number of additional features. Two iterations of the device followed and by January 2015, the company had sold 25 million of the things. We’ve learned since then that Jobs’ initial hopes to make a difference to the television industry were frustrated by the complexity of the space which created many go to market problems. "The only way this is going to change is if you start from scratch, tear up the box, redesign and get it to the consumer in a way that they want to buy it," he said in 2010. "I’d like to create an integrated television set that is completely easy to use ... It would be seamlessly synced with all of your devices and with iCloud ... It will have the simplest user interface you could imagine. I finally cracked it." It took years, but changing viewing habits meant traditional broadcast television had to change. Apple was able to exploit a reality in which increasingly digital-savvy viewers wanted to take control of their TV viewing experiences. This meant on-demand channels like Netflix or on-demand services like iTunes were separating audiences from broadcasters, and Apple offered some kind of opportunity. Following the announcement in September, Apple TV 4 shipped in October 2015. This version lets you navigate your device using the incredibly useful Apple Siri Remote control, which enables you to use voice, gesture, and touch to do what you want to do. Voice, "the simplest user interface you could imagine," is the articulation of the dream Jobs talked about years before. The box has all the intelligence and upgradeability of iOS along with a healthy and rapidly growing stable of apps for all kinds of things, not just games, movies and TV. Content providers are engaged with the device, which offers a huge range of channel apps you can install. These include Netflix, YouTube, HBO Go, Hulu Plus, MLB.tv, ESPN and many more. Apple also has an app for this: TV. The TV app brings all the content from all your services together in one place. It acts as a television guide you can use to make sure you get to see the best of what is available. The company has also introduced Single Sign-On, a system which lets you access all the content your cable or satellite provider offers with your broadband connection. Another thing you can do with Apple TV is to display content on your television from your iPhone, iPad, or Mac using another technology called AirPlay. This means Apple TV users can share their movie collections, and also lets them use their HD television as reserve displays when they need to get things done. Apps are critical within all of this. The Apple website calls apps the future of television and observes that most of us already use apps to access TV. You can choose from thousands of apps from third-party developers that the company makes available through the solution's built-in App Store. Another useful Apple TV talent is AirPlay mirroring. This lets you beam content from your iPhone, iPad, Mac or iPod touch to your television screen and is a great way to share family movies or items held on someone else's device. The company continues to improve the tvOS software that drives the device in order that developers can build even more engaging experiences, and the company’s focus on advanced graphics technologies suggests that while Apple TV isn’t quite the gaming console competitor to make Sony or Microsoft sleep less at night just yet, things may still change. Meanwhile, of course, Apple must also ensure its solution looks attractive beside competing products such as Chromecast, Roku and Amazon Fire. In future it is expected to launch a 4K model of Apple TV, perhaps with an HD video rental service.